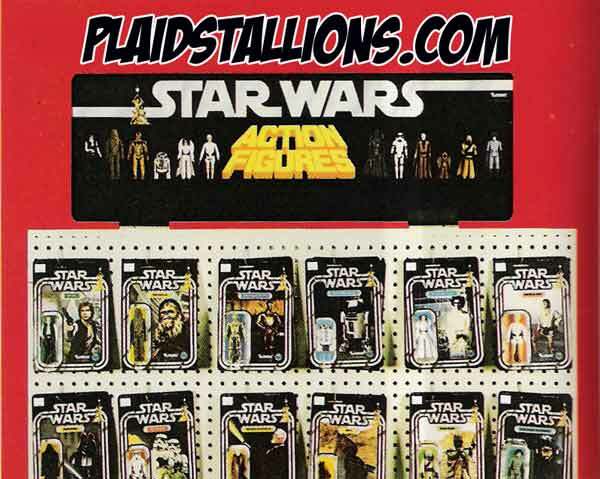 The Kenner Star Wars line was not the first 3 3/4" line on the shelf, Fisher Price had pioneered it with the Adventure people back in 1975, Mego followed suit with the brilliant Comic Action Heroes and Micronauts in 1976. 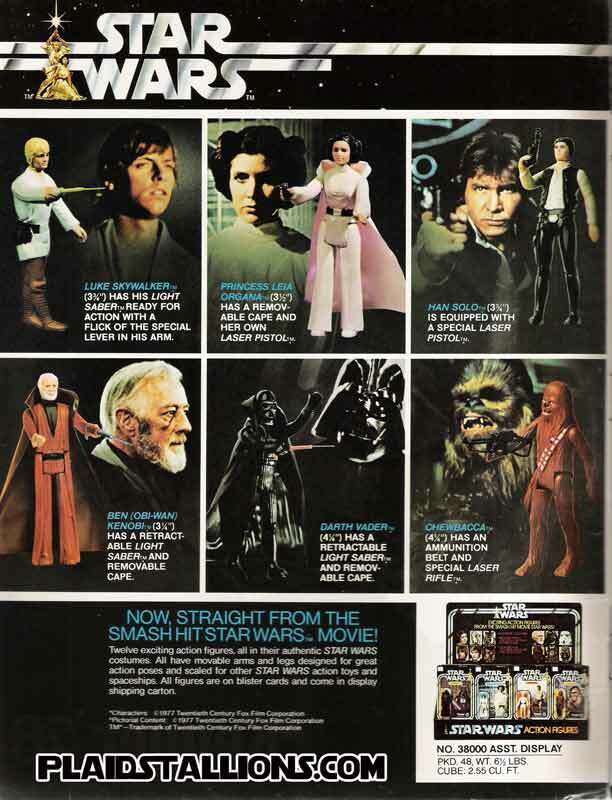 What set Star Wars apart is that the line changed industry standard, all of a sudden toymakers were in the 3 3/4" figure business abandoning the 8" format created by Mego. To some collectors this was a dark day and to others it was a beginning of a golden age, it's all about preference. 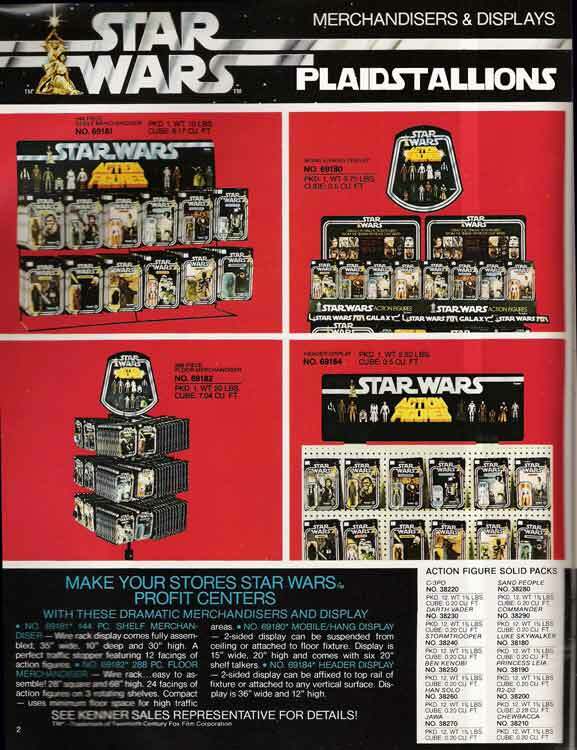 I don't collect Star Wars figures but the dump bin in the bottom corner makes me drool, it really brings me back. The simplicity of these figures, small headed han, the retracting light saber has yet to be matched. 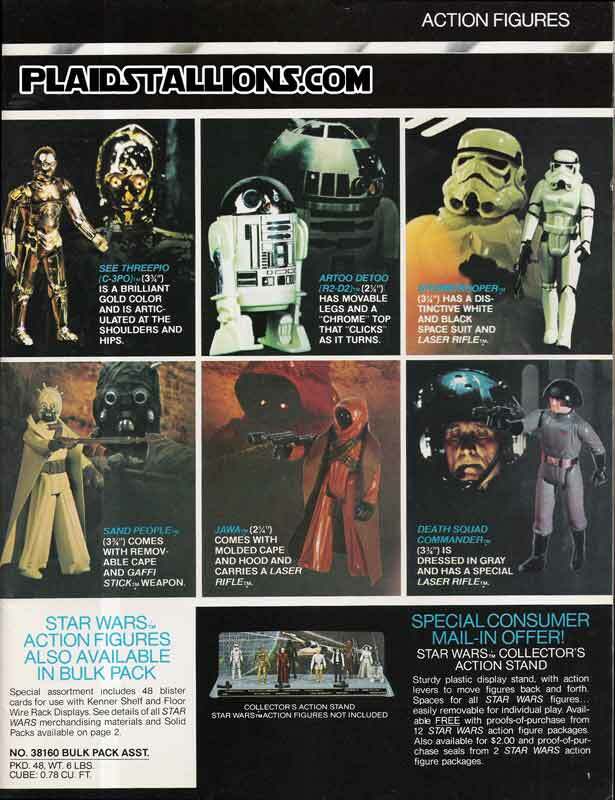 I didn't realise vinyl caped Jawa came first, I only ever had the cloth version and thought the vinyl version looked silly as a kid. The Tusken Raider was one of my favourites back then and I always thought Death Squad Commander was an odd choice, not that I didn't have one, in fact I still have him to this day. 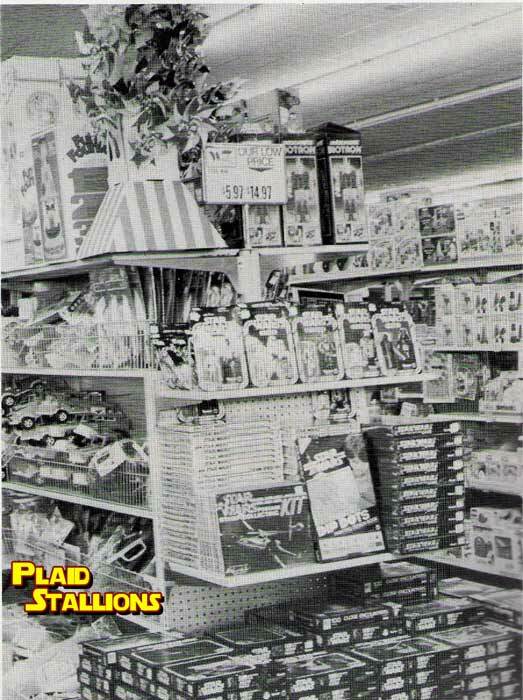 Any one of these store displays would be worth a small fortune today.